Berlin has some crazy abandoned locations throughout the entire city, but one that stuck out to me the most was this abandoned children's hospital that they call the 'zombie hospital'. What a spooky spot, you guys! Every noise I heard had me a little freaked out! 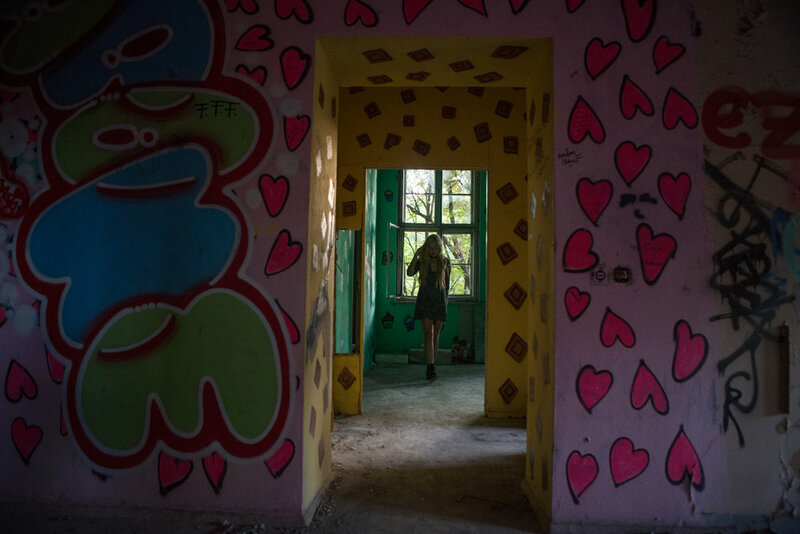 There was also something special about the location - like the soft light shining through the broken windows, the exposed structure, and the graffiti throughout the entire building leaving a bit of a mysteriously haunted appeal. What a neat place! We found this location through our friend who also recommended that we check out a site called Abandoned Berlin. You'll find all sorts of interesting locations there to see while in Berlin. Follow along as I guide you through this abandoned children's hospital! All photos shot by Darius Twin.